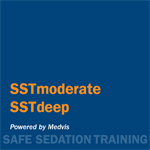 Ensure that non-anesthesiologist physician and team members providing Moderate Sedation have the critical clinical information and best practice guidance for their care of routine patients undergoing moderate sedation care. At the start of each module, specific learning objectives are identified. Animated and interactive content is presented to teach about each learning objective. 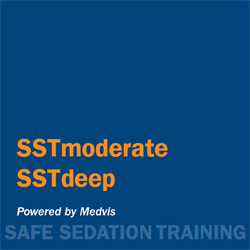 Disclosure: No one involved in the creation and production of SSTModerate have any relevant financial relationship with commercial products or services discussed as part of the SSTModerate course. 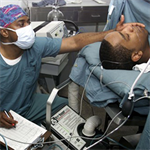 Charles Anderson, M.D., M.B.A., Jeffrey Apfelbaum, M.D., Mark A. Singleton, M.D., Rebecca Twersky, M.D., M.P.H., John Allyn, M.D., Donald Arnold, M.D., Chair, Michael H. Wall, M.D., FCCM, Teodora Nicolescu, M.D., Amanda R. Burden, M.D., Randolph H. Steadman, M.D., M.S., John Rask, M.D., Beverly K. Philip, M.D.